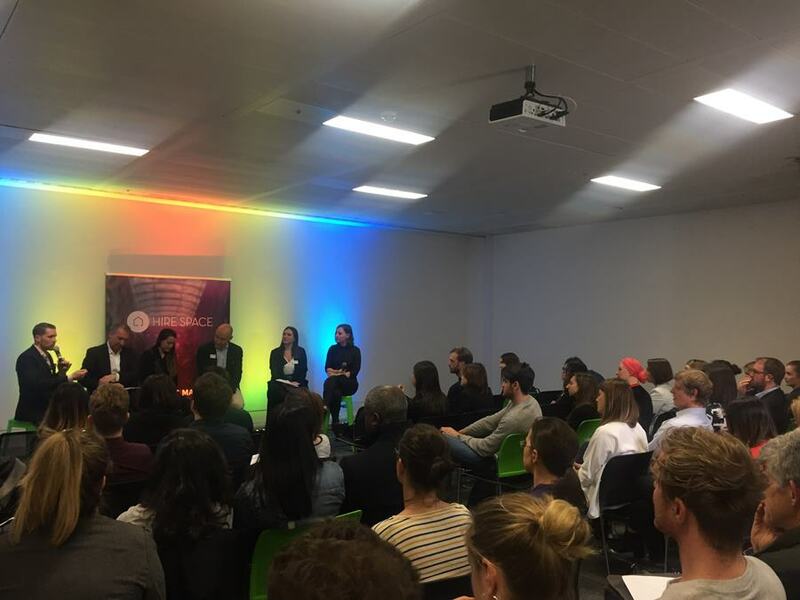 Last week we held our first teaser event ahead of EventLAB in October, where we welcomed a stellar panel of influential event professionals to discuss the future of the events industry. So, for anyone that couldn’t make it, we've rounded up the highlights so you’ll almost feel like you were there or you can watch the full video here. What's the definition of a modern event? 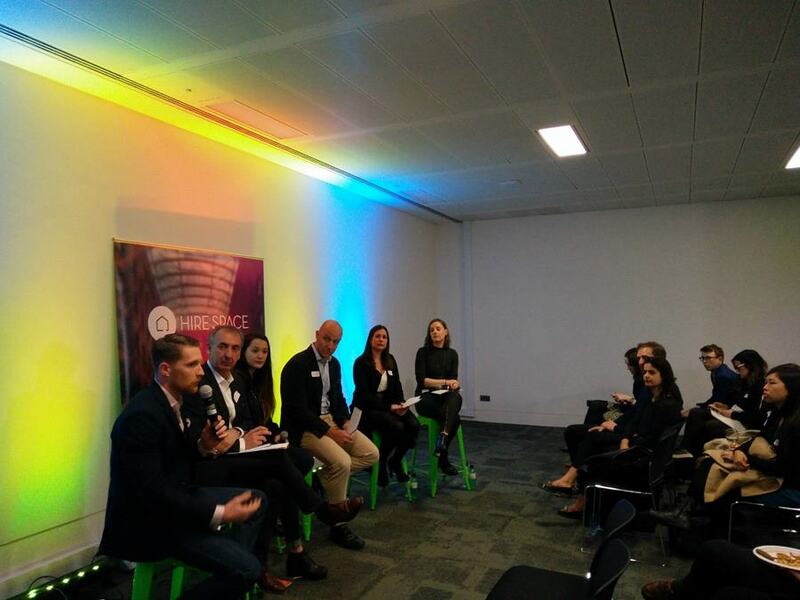 With a wealth of experience across our panellists, the session provoked some lively debate and some real insight into the future of the events industry. So, what did our panel think? Consumers’ attention spans are shorter than ever, so making an event memorable involves more than a powerpoint presentation or a decent DJ. They are increasingly looking for ‘immersive’ experiences that tell stories, that are shareable and ultimately resonate with something in their lives. The real ‘buzz word’ is experiential. Largely associated with trendy pop-ups and product launches, experiential has become more commonplace across a wide range of events, from festivals to meetings and conferences. These real-life experiences have the opportunity to be much more lasting than traditional events or methods of marketing, providing brands with an opportunity to connect and build relationships with their customers or audience. Events are moving away from set agendas and prescriptive timings. Guests want to 'experience' events rather than just attend them. Curation and customisation are important for both brands and attendees, it’s an opportunity for them to participate and not just be a passive bystander. In the on-demand economy, giving the audience the chance to participate and create their own experience, was something the panel noted as being of particular importance. Levels of expectation have risen when it comes to corporate events. Julian suggests that we’ve reached a kind of crossroads between public and private events that is mostly led by the high street. Guests expect the same levels of food, hospitality and entertainment that they would get when they go out at the weekends. Events need to be relatable, tap into people’s needs and be worth sharing. Interactivity, Social, Tech: What's the hype? The way people consume media has changed, their attention spans are much shorter and grabbing a precious couple of minutes of their time is a tough gig. "Social extends the life of an event and provides a powerful event marketing tool." It expands the reach of the event or brand, helps people connect, which incidentally makes people more likely to promote your brand. It's important to create content not just during the event but pre and post-event too to increase the lifespan of the experience, we should always be aiming to continue and nurture the conversation. How do you make people present at an event if they are always on their phones or looking for their next Instagram opportunity? Well, Adele suggested that it wasn't a problem at all, Millennials have been raised on social media and are able to multi-task. Part of them being present encompasses engagement on social. And whilst this is a concern, social can be so powerful in building excitement around a brand or concept. Adele used the example of Secret Cinema; people sign up to a concept and all social activity surrounding the event is in the lead up. People are then often asked to leave their phones at the door to protect the exclusivity around the brand, which brings us back to old-fashioned word of mouth as a promotional tool. Which brings us back to old-fashioned word of mouth as a promotional tool. The panel discussed the use of tech to access info as quickly as possible and make event planning easier, particularly with regards to data capture using beacons and RFID. Although they are not a new phenomenon, the nature of experiential events, largely due to their ability to evolve, develop and adapt to new technologies makes them a trend that is likely to endure. Looking ahead, virtual and augmented reality, co-created experiences, social media integration and live video streaming were just a few of the future event trends that our panellists touched upon. However, there was a consensus that technology can enhance how we experience events, live streaming can help people make decisions on future events for example or perhaps cuts cost for logistics involved in meetings and conferences. If you’d like to hear more from speakers like the ones on our panel and get a bit of face-to-face time with top venues, suppliers and senior event professionals, make sure you sign up for EventLAB. You can also find out more about our amazing host venue CodeNode at here.